English is the main language used by computers all over the world. However, not everybody in the world would be comfortable with English. People living in different countries would like to use their own language while working with computers and the internet. Thus, there is a need for the introduction of multiple languages, enabling people from all countries to access their requirements.You may also see Portfolio WordPress Themes. WordPress themes are an integral part of any website. Hence, having a multilingual WordPress theme is always more beneficial than having a theme in a single language. You get a greater reach and thus it would be better for your business enterprise as such. By installing a WPML (WordPress Multi-Lingual) PlugIn, you can eliminate the need to translate the content every time. You can choose the language you want to work with and start your business. We shall now review some important features of about twenty different WordPress multilingual themes for different businesses. 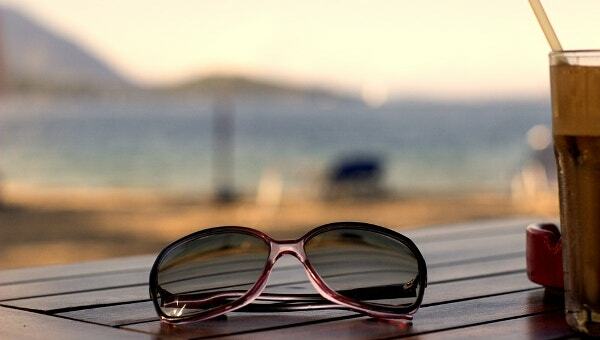 This easy-to-install travel theme does not require you to possess any coding skills. The Live Customizer option allows you to make any changes to the design and content before making the same available online thereby helping you avoid making mistakes. This theme is 100% compatible with the General Public License enabling you to modify the template as you deem fit. Bootstrap compatible, you would find this theme working with all the major browsers.You can also see Travel WordPress Themes. 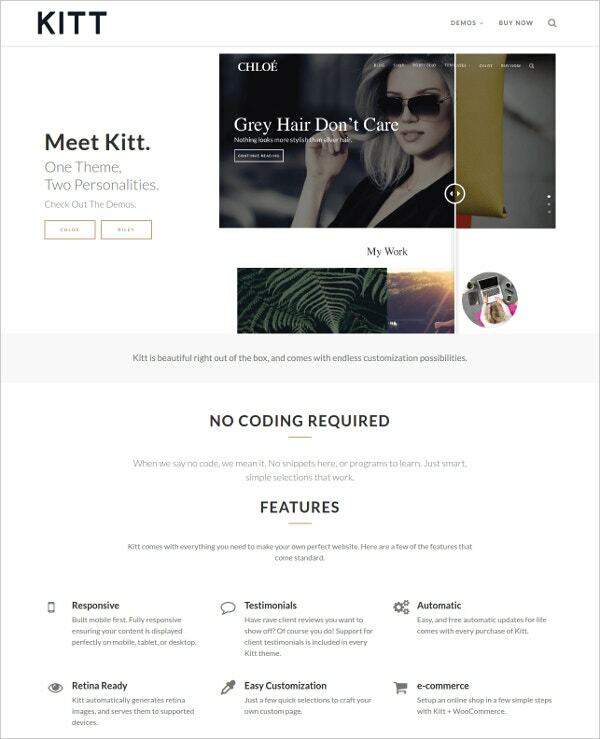 The KITT theme enables to treat your blog as a business. It has two theme variations, the Chloe theme and the Riley theme making the content look perfect every time. You need not have coding skills to use the theme. Fully responsible, you would be able to use this theme on any kind of device. Retina ready, you get access to high-quality images. Compatible with WooCommerce, setting up an online shop is very easy. Easy navigation makes this theme an attractive one. 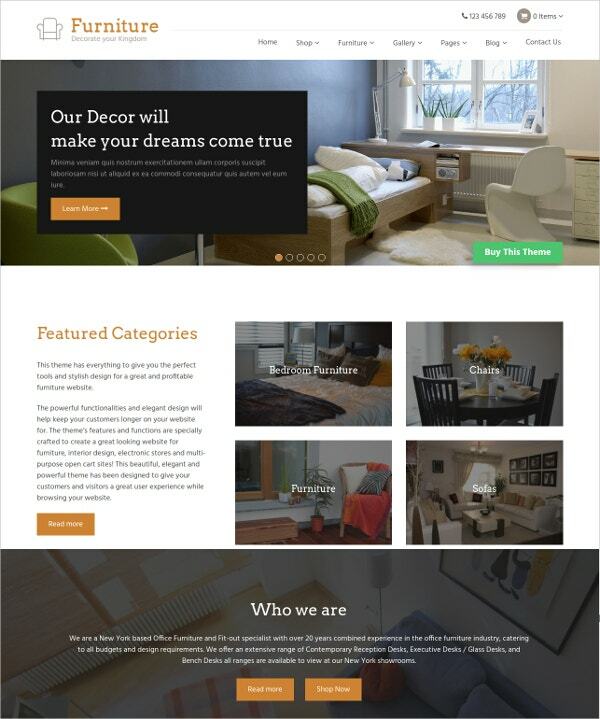 The 100% responsive theme allows viewing on any internet accessible device. You would be able to edit your contents comfortably and post them in a variety of formats. With more than 80 shortcodes, you need not have coding skills to access the theme. Easy to install, this theme has multiple color options as well. SEO ready, you have the advantage of a filterable portfolio. Compatible with Google fonts, you have access to over 600 fonts. The Fshow theme comes with four pre-built sites with distinctive concepts, layout, style, and color. Fully compatible with all browsers, viewing this theme on any device is easy. You can customize your theme using the Live Theme Editor. 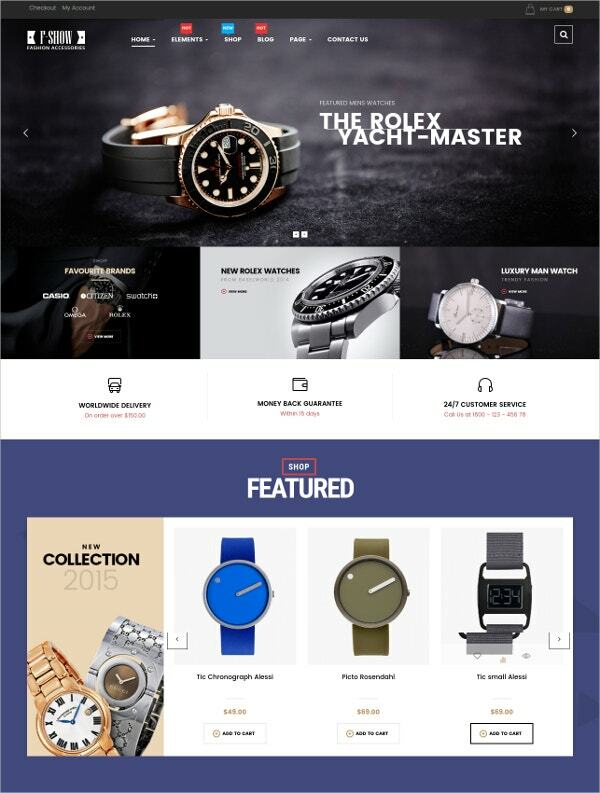 Powered with WooCommerce, this theme offers multiple online shopping options. You have the advantage of using the Megamenu as well as the mobile menu. The drag and drop page builder saves a lot of time as well. This fully editable wedding planning theme is a responsive theme enabling you to view it on any device. You have a variety of formats to post your contents. 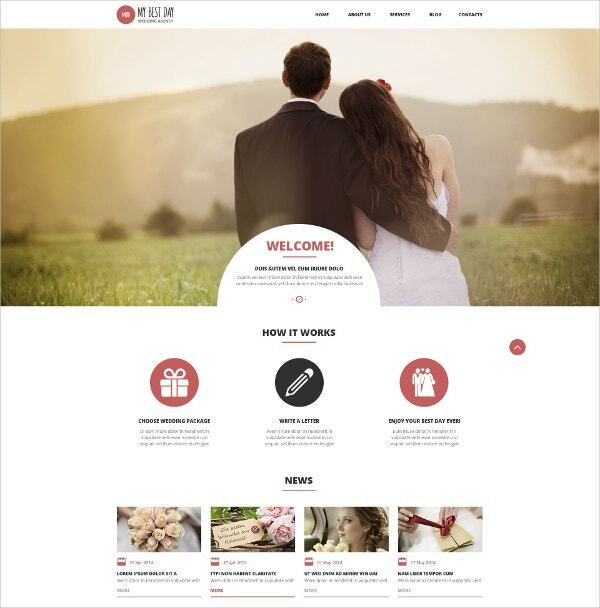 Easy to install, this theme offers the perfect solution for all marriage-related websites. The four image gallery types, price table, news block, and testimonials make it a wisely constructed theme. The multiple customization options make it easy to install and configure. SEO friendly, web surfers would be able to locate your site easily. 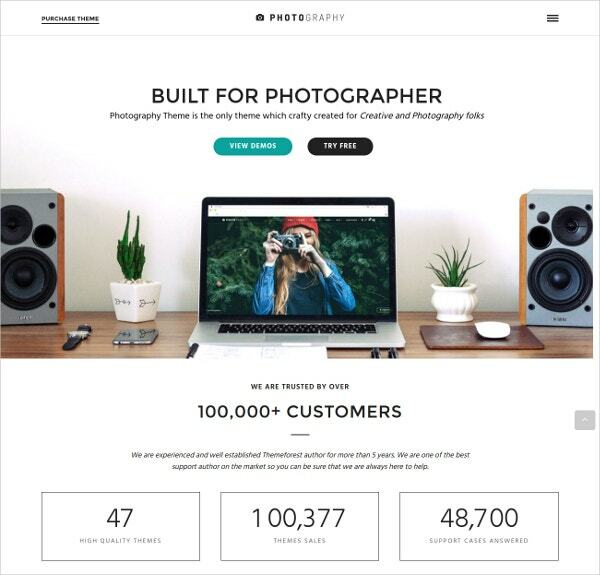 This professional photography theme is super stylish and powerful and designed for clarity. It comes with a modern design and excellent features. A photography theme, the Justified Flickr gallery provides great gallery-viewing facilities. You have the advantage of a responsive lightbox with beautiful styling. With access to about 693 Google fonts, this is an attractive theme. You have access to three slideshow sources. 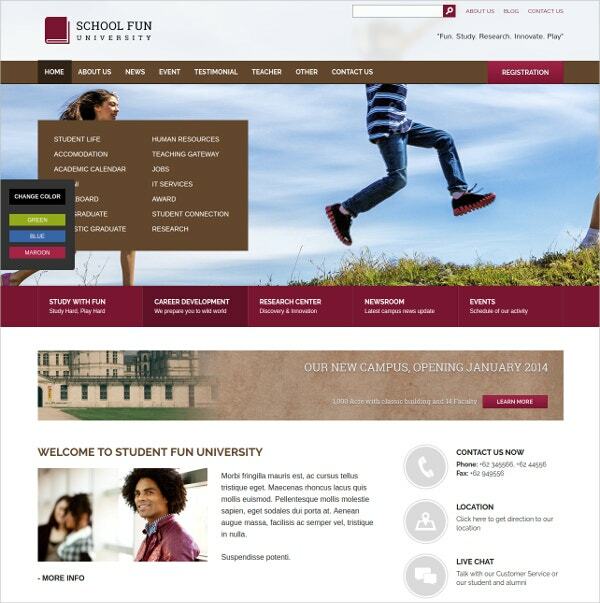 This is an apt WordPress theme for schools, universities, and other educational institutions. You get a 3-color variation with this theme. 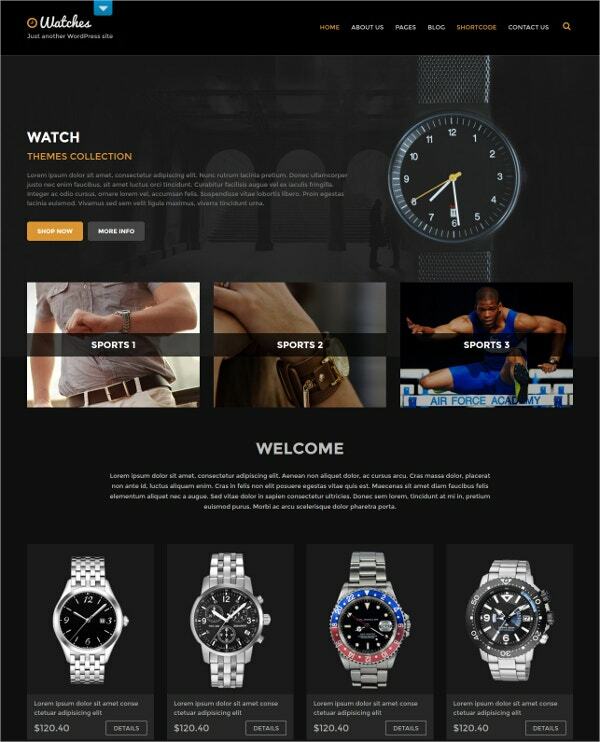 Powered by HTML5 and CSS3, this is a powerful theme in all respects. The customized widgets make it an easy theme to operate. Easily customizable, you can change your theme options with ease. You get the advantage of easy documentation for installing the theme in your system. The Aesop groundbreaking storytelling engine allows you to share your beautiful stories. You can easily activate the customizable fonts without the need of a Typekit account. The user-friendly theme allows the user to leave his or her comments on the sides. 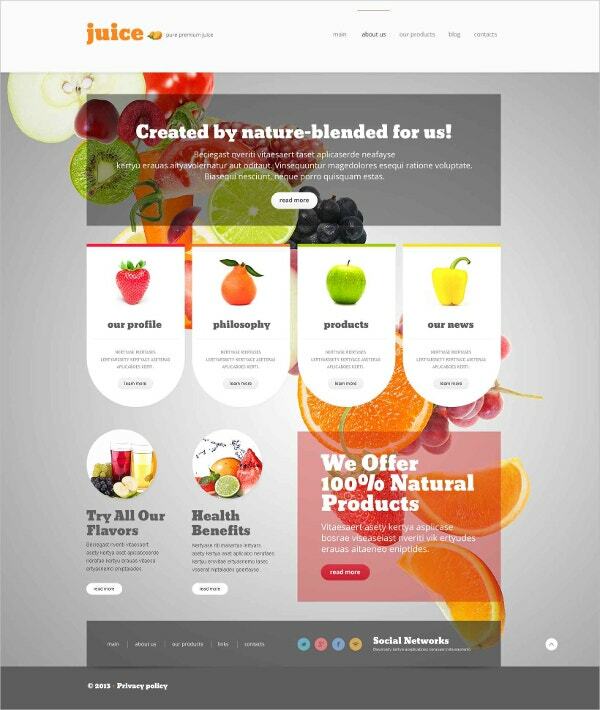 This fully responsive theme comes with customizable colors and images. The styles powered by Sass and Compass enable you to generate CSS style sheets with ease. 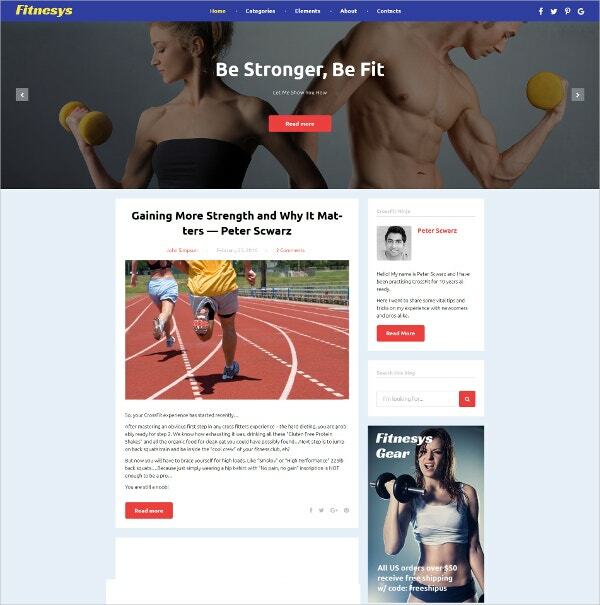 The best layouts allow you to combine the appearance of your posts, pages, as well as column layouts thereby imparting a unique look. You have access to more than thirty color and typography settings. The drag and drop homepage options along with the customized widgets make this theme an easy one to use. Social integration is the highlight of this theme. Adaptable to WooCommerce, you have multiple e-commerce options. 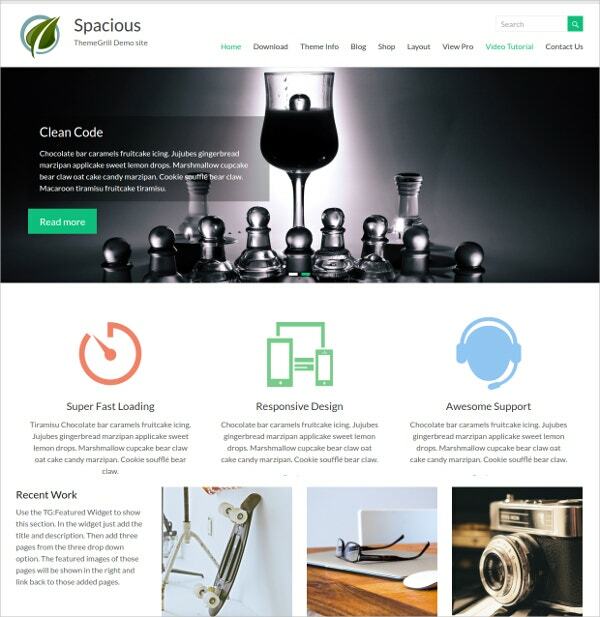 You can get some awesome features with this WordPress theme. Using the user-friendly admin options, you can make your own website. The creative options and the useful shortcodes make this easily customizable. The fully responsive layout makes it easy to view on all devices. The retina-ready features make it an attractive theme. You get the advantage of free updates and extensive support. The 100% responsive design enables you to access the theme on any device. The retina-ready features make this an awesome theme to look at. The live customizer allows you to make changes and see the results immediately. You can use the Website slider to present important information. The stick-to-top menu is a navigator’s delight. The customizable widgets make this an attractive theme. This responsive theme is compatible with all internet browsers. You can use the color picker for changing the colors. You have the advantage of fancy multiple portfolio galleries. There are five different types of header and footer variations. You have access to more than 580 social icons and 600 Google fonts. Compatible with WooCommerce, you have a variety of e-commerce options. This is an attractive theme. The drag and drop modular homepage make a unique impression. You can use the full-screen slider for your introduction. The flexible layouts and the unique color schemes make it an easy and likable theme. With the WooCommerce support, you have a variety of e-commerce options. The highly responsive theme is compatible with all browsers. 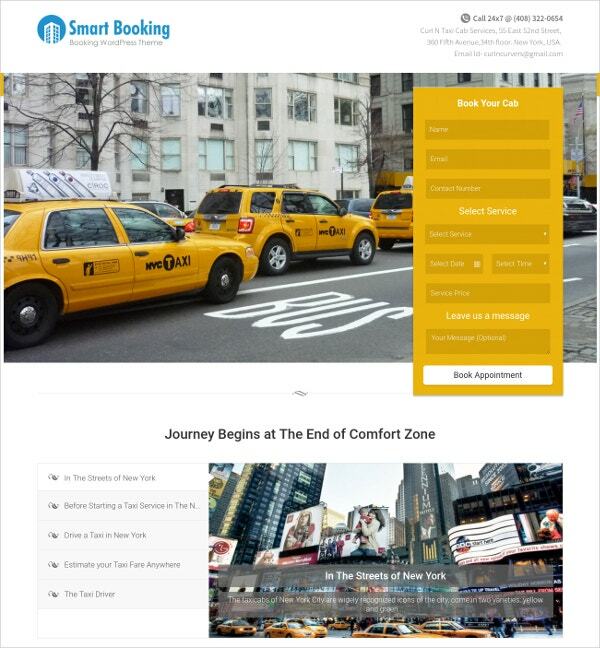 As the name suggests, this theme allows you to do an easy booking. The integrated InkAppointment WordPress PlugIn facilitates online payment transactions via PayPal and other payment platforms. The Scheduling software allows you to schedule your appointment and availability calendars easily. The user-friendly theme does not require any coding and technical skills. The best feature of the WordPress theme is the utility of full color changing theme using the color picker. 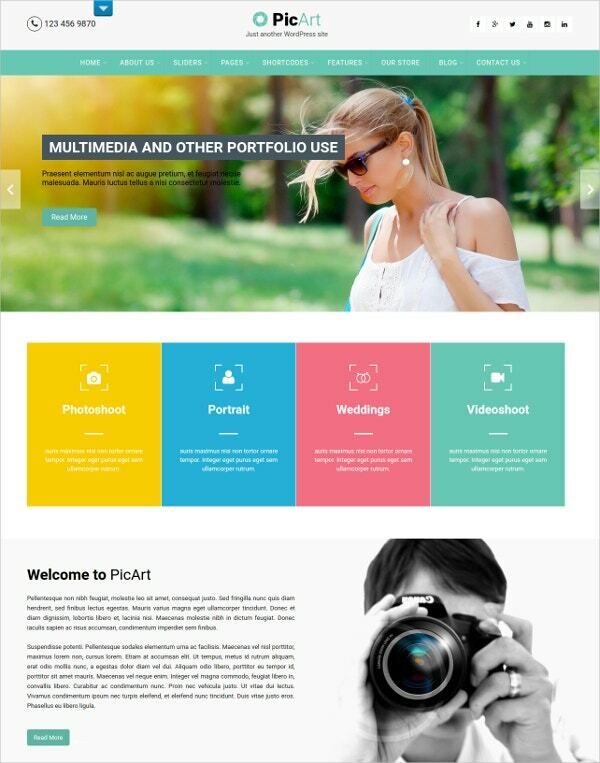 This is a responsive theme, fully compatible with all kinds of browsers. The WooCommerce adaptability allows a variety of e-commerce options. This theme is compatible with the NextGen gallery. You have access to other features such as font changing, color changing, and link changing, etc. The theme options panel allows you to customize your theme according to your requirement. 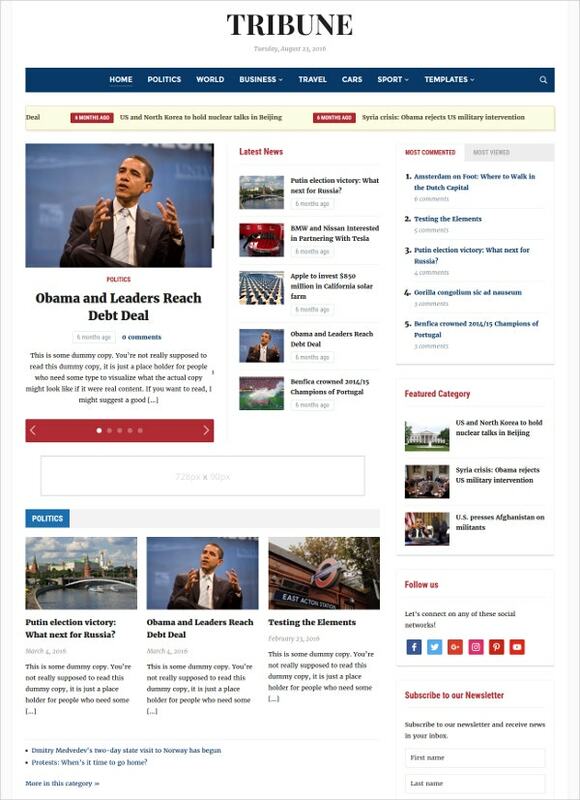 The video widget and the carousel widget make it a popular website theme. The responsive layout allows you to view the theme on any device. The visual customizer gives you a variety of color and font choices. 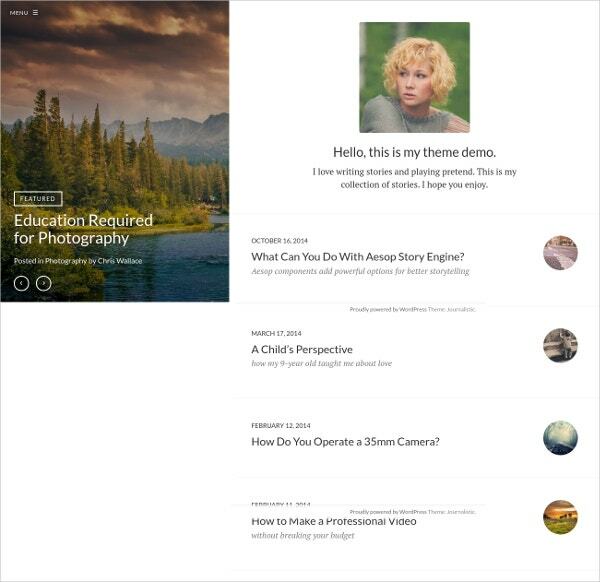 You get additional features such as tiled galleries, extra sidebar widgets, and more. 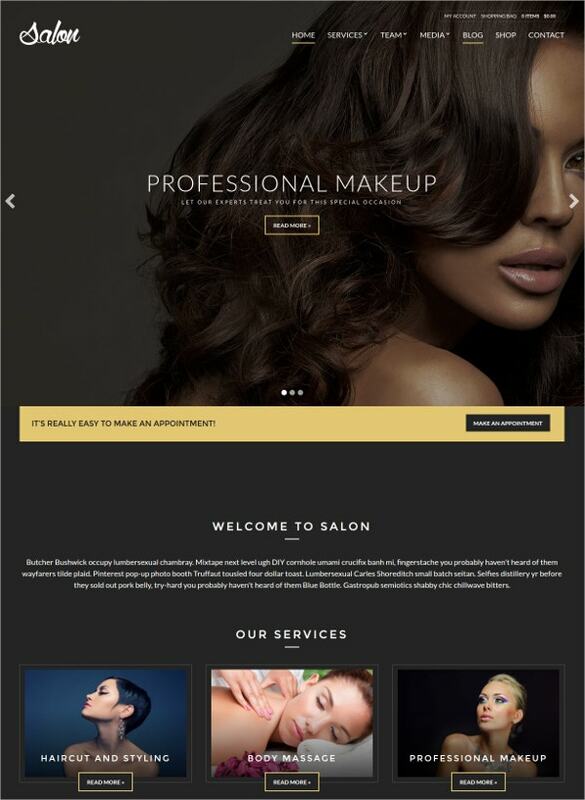 You can use this multipurpose responsive theme for your business, portfolio, or blogging sites. 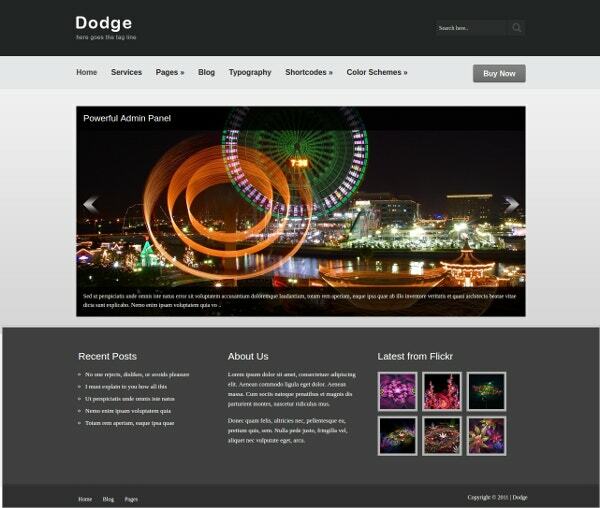 The business templates and customized widgets give the theme a professional look. You are able to add more than twelve widgets at vantage points according to your preference. In case you require additional widgets, you have the option of using the Pro-version. The testimonial and the call to action widgets are the most popular widgets. You have the liberty to choose your color to suit your business. The responsive design makes it accessible on all devices. You have seen the reviews of twenty WordPress Multilingual themes for various businesses. Each of these themes is special in its own way. In addition to the multilingual facility, each theme is 100% responsive, making it easily accessible on all devices. The customized business templates and widgets make each theme attractive. The adaptability to the WooCommerce allows using a variety of e-commerce options.